Discussion in 'Technical Help' started by Dodgydave78, Jan 9, 2018.
first help post on the forum so hope its in the right place. I recently bought a sprint st955i 2002... came with full triumph luggage. I have a key that locks the bags onto the bike and one which locks the top box but it will not lock the panniers. The lock has a number on it (9615), am i able to get a replacement key for this. Yes triumph dealer is the last resort...just thought I'd ask. The ignition key locks the bags onto the frames but won't fit the cases and as above the top box is a separate key. Would feel safer being able to lock the boxes. The lock on your topbox could be removed and taken to a locksmith with your panniers key. He/she will be able to reload the 'leaves' in the lock to allow your panniers key to work it. Thanks for the replies... 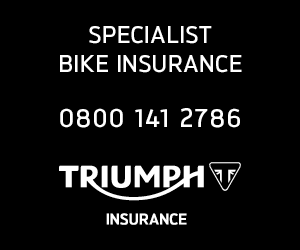 I called triumph and they can supply a spare set of keys for £30 as long as I have the lock number which I do, so looks like I'm onto a winner. Have you tried the usual key cutting places like Timsons if you're just after extra keys. 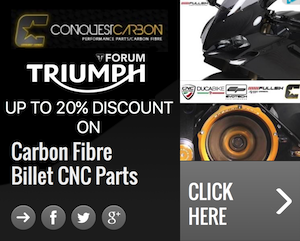 I'd guess it would be loads cheaper than what Triumph want to charge you. I must have misunderstood but I thought you wanted the 1 luggage key to open panniers and top case, rather than just additional keys ?? Just need the key to lock the panniers, I have one for the top box but this does not fit the panniers. Lost by previous owner I guess. Will be giving triumph the info they need this afternoon, will see how it goes. If you have your locks modified by a locksmith as I suggested first, then 1 key would unlock both the top box and the panniers. So you wouldn't need multiple keys.